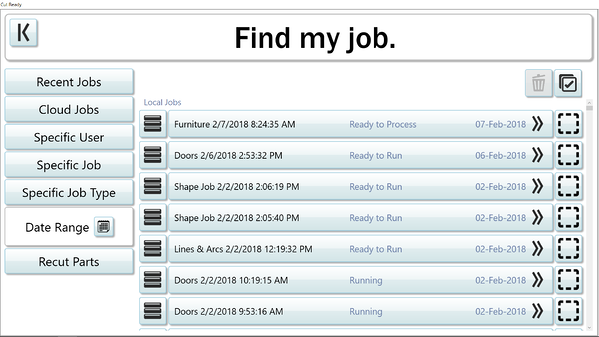 Included in this update is the Contemporary Wave Bedroom Suite, added flexibility when searching for user-created jobs and the ability to select and remove several jobs at once to help clean/maintain your jobs list. 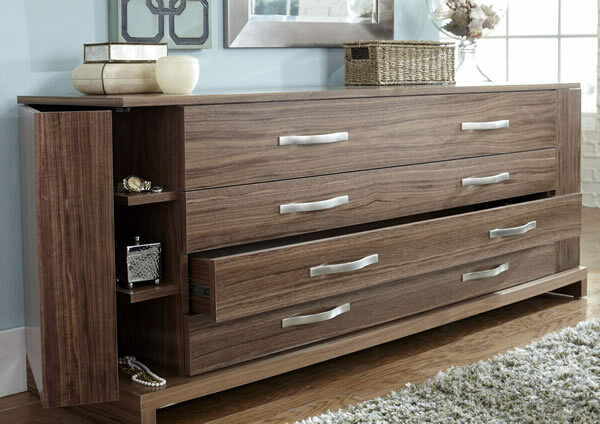 The Contemporary Wave Bedroom Suite is a collection of low, chic and very stylish bedroom furniture available with or without the Wave pattern. It is reminiscent of high-end Italian contemporary furniture, with all the grace and style that it implies. Perfect for the person who enjoys modern, high style surroundings. 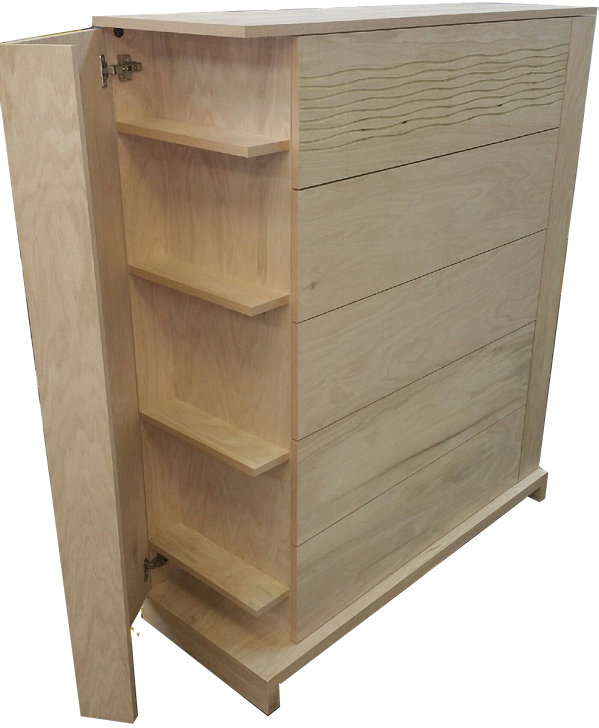 Contemporary Wave Bedroom Suite Dresser featuring hidden shelving on either end. Contemporary Wave Bedroom Suite Chest featuring hidden shelving on either end. In addition to searching by job name or user, Cut Ready now has the ability to easily search for jobs within a date range, or by type. It also adds the ability to select and remove several jobs at once to help clean and maintain your Jobs list.